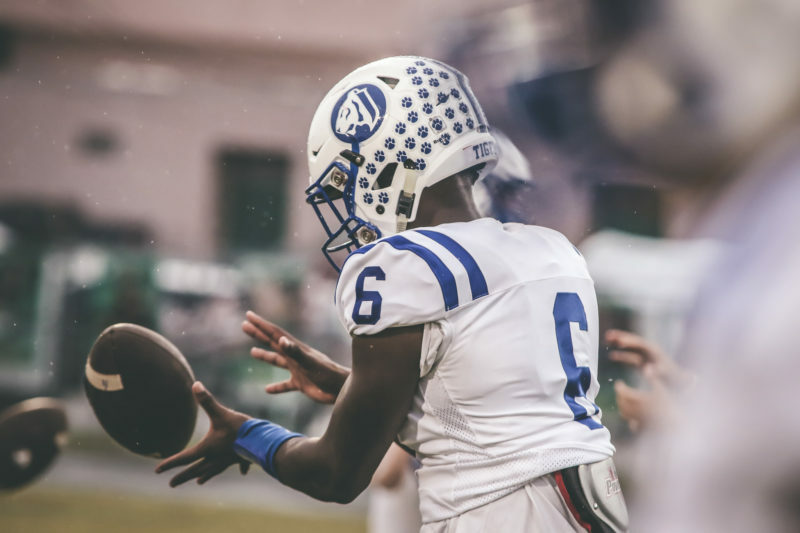 Tampa, November 29, 2018- The Jesuit boys have rallied a strikingly notable season, dissecting and blowing out other respected contenders throughout the entirety of their schedule. Even continuing on through the playoffs with a 3-0 record and still churning out victories, outscoring opponents by 20+ points. Yet, this upcoming face-off fares well in no one’s favor in this fourth round and that makes for a juicy outcome; let’s take a BCP in-depth look at the reason behind this organization’s vast 2018 success story. “Fortunate to not have any major injuries to our top guys, been practicing holding on to the ball in practice, haven’t turned ball over in playoffs yet, so we pride ourselves on that part. 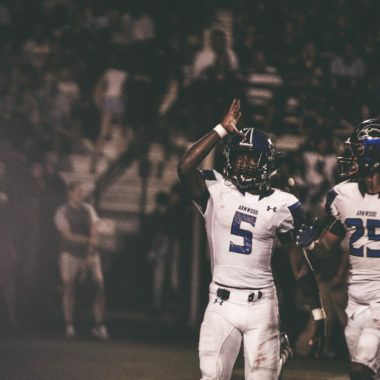 Our O-line this season has really stepped up for us, like 5’10” 255-pound junior, Cooper Lufkin who’s been solid at center, as well as other guys like 6’ 165-pound junior cornerback Spencer Williams who has come up big for us, especially verse Jefferson last week,” Head Coach Matt Thompson exclaims, in regards to the team’s 5-0 road record and preserving the streak. “When you get to the third round there are no bad teams. Going through our normal preparation week to week, and they got some dudes (Cardinal Gibbons) and we got some dudes so we’ll see who’s most prepared in this matchup.” Coach states when asked about any abnormal preparation for this week. 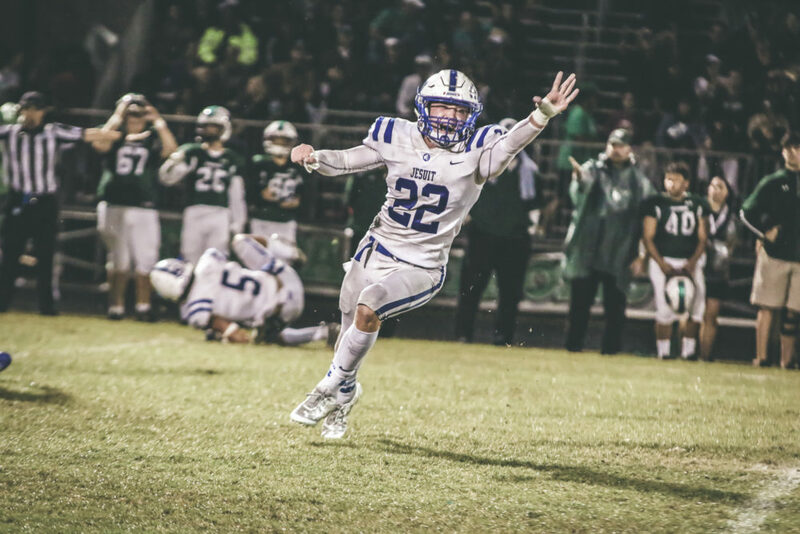 The royal blue and white Jesuit Tigers are a staggering 12-1 and 4-0 in their class 5A district 10 (1st place in standings, 2nd of 81 in whole 5A class), ranked 33rd statewide, 274th nationally and keeping the ball rolling with 5 consecutive wins. 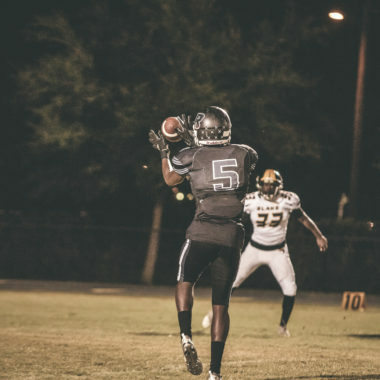 Their opponent in these Friday night lights, the Cardinal Gibbons Chiefs, sit currently at 11-2 and 5-0 in their class 5A district 16 (1st place in standings, 8th of 81 in whole 5A class), ranked an impressive 8th in the sunshine state and 74th nationally. Also not neglecting their tunnel vision focus with a HOT 11-win streak after losing their first 2 games! This one will be a sight to see folks. Coach Thompson proceeds to conclude, “Overall, we’re playing as a team on both sides of the ball, not a superstar team overly; just some blue collar workers that mesh together very well to win games- no big egos. It takes a lot of development with the young kids to keep them grounded and focused on the end goal sometimes but this group is pretty self-aware. 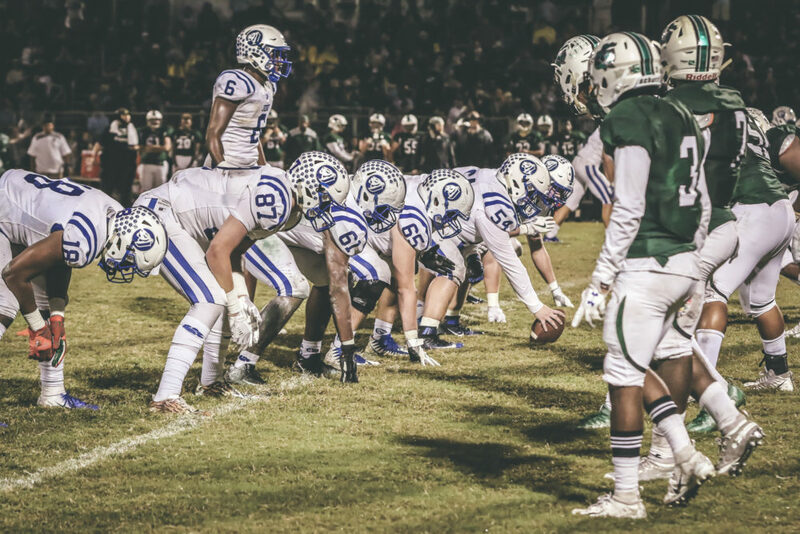 Regardless of the previous numbers, at this stage of the FHSAA playoff tourney there are no lucky outliers still lingering and competing, as coach Thompson backs up. Both teams are healthily stacked across the board in star power and roster spots; no denying they equally have their work cut out for them in this thrilling last game of the month.